North Sea English Academy was conceived in the spring of 2016 by Dr. Adriana Bejko and Joanne Smolka, MSc, CELTA. Adriana and Joanne both have expertise in teaching English as a foreign language, and experience in business. Read on to find out more about the founders. Dr. Bejko is dedicated to supporting ESL students and teachers. She teaches courses that are based on brain research and intentional teaching. 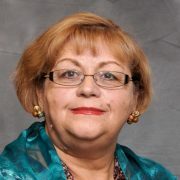 Dr. Bejko is dedicated to closing the educational achievement gap between English language learners and native speakers. She works with teachers to develop language teaching strategies which help all learners achieve academic success. 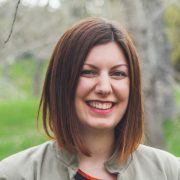 Dr. Bejko has taught ESL/EFL in a number of countries, including China and South Korea, and while obtaining her professional degrees, she taught English as a Second language in K-12 classrooms and University English programs for international students in San Diego, Vancouver, and Calgary. Altogether, her teaching experience spans over 41 years and 3 continents. She has had a very high rate of academic achievement for her students thanks to using the ‘Fun English’ textbook series. She currently lives and works in Calgary, Canada as an ESL teacher for students aged 14-19 and will come to The Netherlands this summer to teach courses at NSEA, and will bring a number of Canadian teachers with her. Joanne was born and raised in Calgary, Canada. She started her studies at Mount Royal University in 2002. For two years, she mainly studied English, psychology, and economics. Joanne moved to The Netherlands in 2004 to study International Business and Management at Stenden University. After completing her business degree, she studied at Wageningen University. In 2013, she graduated with a masters degree in Social Sciences. In 2015-2016, Joanne returned to Canada for half a year to study CELTA (Certificate in Teaching English to Speakers of Other Languages) and complete a practicum at Father Lacombe High School (Calgary) teaching ESL to high school students. She has also taught a number of A2 English courses to adults in Leeuwarden. From 2004 to present, Joanne has worked at an education consulting bureau that supports teachers in their professional development.